To protect your cart for travel; we fully crate and enclose your cart. 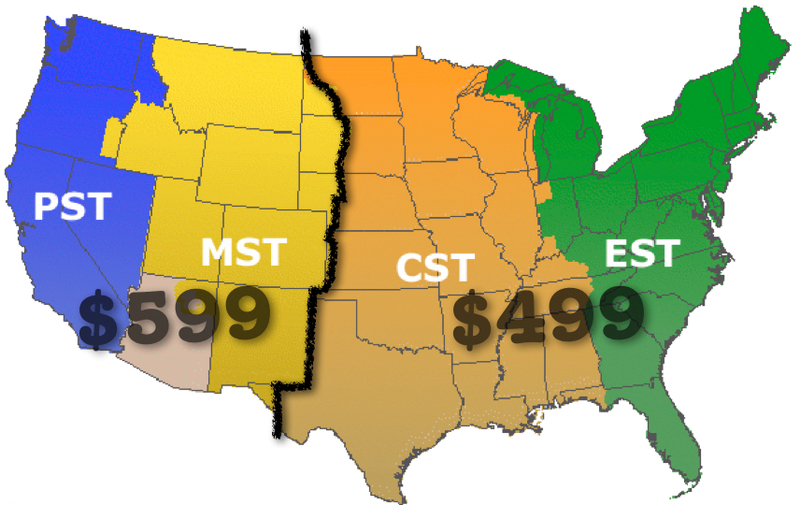 Crating costs are included in the shipping rates above. You can verify the distance from our location to your door by clicking here. Enter the your zip code and if our zip code isn’t present, enter 37862 and click get directions. This will determine the driving distance. If you receive a cart that is damaged, you have the right and option to refuse delivery. If there is a minimal damage, keep the cart and make a note on the freight form with the driver. We will forward you the parts needed to replace. For example, your bread box is bent or maybe a side panel is dented bad; Take a picture, note it on the bill of laden and then let us know. We will ship you the parts to replace the damaged area. You can then still file a claim for the damaged parts and labor and be reimbursed by the freight carrier. For claims contact the freight broker whom sent your email with shipping details and tracking information. Note: Contact BensCarts before refusing freight. In the event freight is refused and returned and found to be minimaly damaged, you will be responsible for all crating and shipping fees. Light freight damage can be repaired and BensCarts if required and necessary will have all damages repaired and/or replaced at your delivery state and town. Please note: our carts are stainless steel. It is common to find little scratches in the stainless, this happens during manufacturing and is unavoidable. Some of these scratches are common to the steel manufacturer and are that way before we get the steel. You may find places where the protective covering on the stainless is ripped, this is perfectly normal and does not affect your cart. We strive to take great care in building our carts and packaging them for shipping. 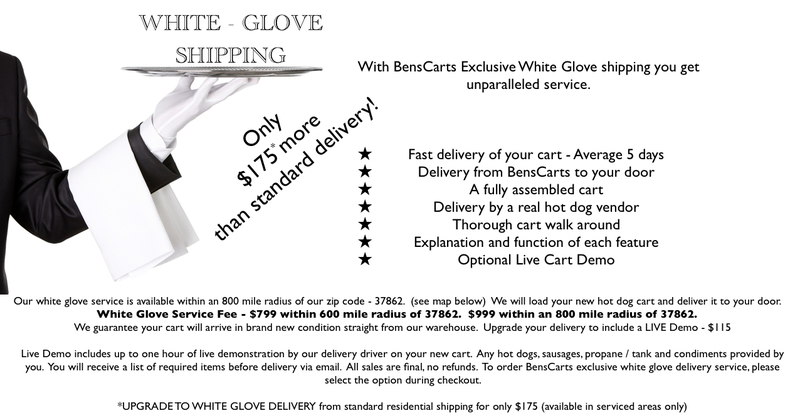 BensCarts sees less than .05% damaged freight due to our packaging and carrier selections. If you refuse freight, call BensCarts, take pictures, note on the bill of laden why being refused and contact the freight broker immediately. If pictures show major damage, we will ship you a replacement cart immediately upon availability. Beware that the white coating on the carts can appear ripped and scratched and there be no underlying damage. Bottom line: If in doubt, keep the cart and we will make sure that it is repaired. When your cart is shipped we will notify you by email.